I am pretty sure global warming has something to do with the hot weather. This summer has been so hot that I would rather keep a minimal makeup look at daytime. Otherwise, I can feel all the foundation and makeup just melting off through heat and humidity. Dior has introduced Bronze Matte Sunshine SPF 20 with PA ++ as part of its summer 2008 makeup collection. The name obviously explains itself. It provides SPF20 sun protection against UVB rays. PA is the Japanese measurement of UVA protection. PA ranking refers to the protection that the sunscreen offers against the UVA rays. The more +'s, the more protection against UVA rays. I love the idea that the bronze powder adds a veil of even tan as well as sun protection to the skin. 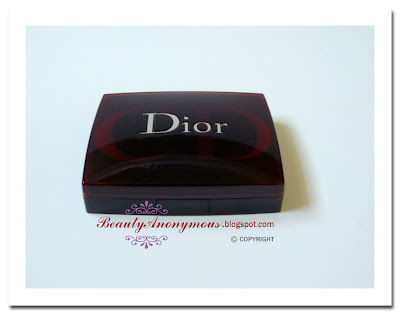 In fact, this is Dior's first bronzing powder with mineral pigments. Moreover, what makes the bronzing powder unique is it has a water-resistant formula to withstand water, tears or sweat. I haven't found any similar products on the market yet. 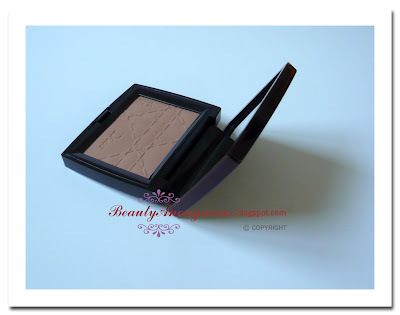 So, I decided to buy this bronzing powder in the shade of #002 Honey Matte (matte tan beige). The other shade available in the line is #003 Amber Matte (matte dark tan). This line has a limited range of colors at this moment. Since these products are newly-launched, let's hope Dior will provide a larger selection of this bronzing powder in the future. The shade of Honey Matte is a matte tan beige with a light orange undertone. It is sheer and lightly-pigmented. This powder has a velvety smooth and micro-fine texture. It goes on sheerly matte, making this powder very buildable. It evens out the skin tone and brings out the healthy-looking bronzed tone with a good sense of natural radiance to my complexion. For a medium to heavy coverage, the finish is more on the orangey side. Dior Bronze Matte Sunshine does resist the sweat fairly well. I have combination skin in warmer weather. It stays on well even on hot summer days like now (today's temperature hit 95°F). I am impressed that it doesn't streak or smudge after I spend some time outdoors. However, it slightly fades when I have heavy sweating on the T zone and the cheeks. the Matte Sunshine formula contains biospheres that control shine by absorbing excessive oils. But I found it does not help much on oil control. It requires touch-ups with face powder or blotting paper to control the shine and oils on my skin throughout the day. 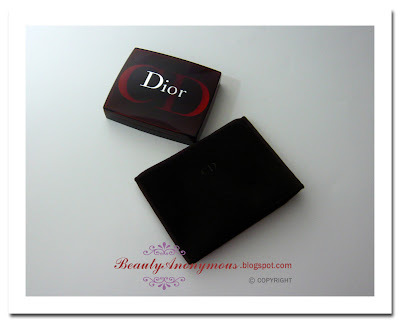 Dior Bronze Matte Sunshine SPF 20 comes with a velvet pouch. The compact is rather sturdy and durable. I only wish the compact came with a brush. Overall, Dior Bronze Matte Sunshine SPF 20 doesn't deliver a powdery finish. It leaves my face a velvety-matte tan with a soft translucent glow. The water-resistant formula offers a good ability to withstand sweat in hot and humid environments, making it an ideal choice for working out at gyms or staying outdoors. The compact shades are great and the tones are perfect for all types of skin. Thank you for your comment. 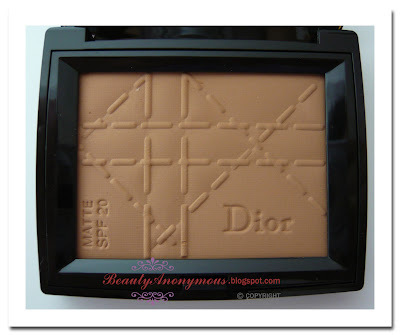 I am glad that you like the shades of Dior Bronze Matte Sunshine SPF20. 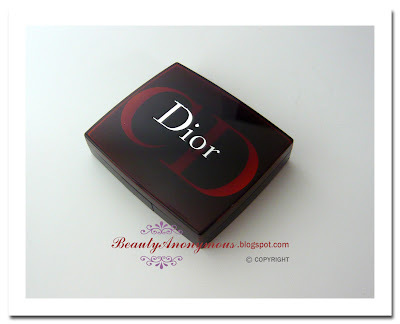 I am just hoping that Dior will release more colors to expand the range in the future. Really Nice Post. Thanks a lot sharing great information. This powder goes on well and looks natural, wears great and lasts on skin. Compact at any price is a bargain , I'm on my second and they both lasted several months. Nice post, will try whenever required.